Property owners can request a final meter read by clicking here. Please enter the property address and the Incident Type. Once entered, you will receive an incident number. Our Accounts Receivable staff will confirm your request within two business days. For questions, please contact the Finance Department at 847-251-2700 or ar@wilmette.com. Final reads are conducted on an as needed basis and should be scheduled two weeks prior to the required read date. Final meter reads are required when a home is being sold. New home owners should contact Finance Department to establish the new account is in the proper name. Tenants who are responsible for their water bills should follow similar procedures. Note – all landlords should notify the Finance Department if a particular property is being leased so that we can apprise them, as well as the tenant, of any issues pertaining to their account. For rental properties, a service request can be done by clicking here. Please enter the property address and Incident Type. You will receive confirmation of your request within two business days. 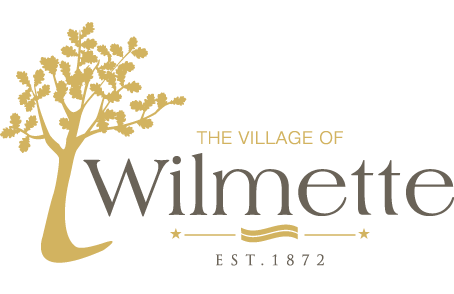 Please contact the Finance Department at 847-251-2700 or ar@wilmette.com with questions. When a service address is not equipped with a water meter, including water service for construction activities temporarily supplied, the water customer will be billed a flat rate of $5.15 per day on their water bill as required by the Village Code. For more information about your water bill, contact the Finance Department at 847-251-2700. For more information about building permit fees, contact the Community Development Department at (847) 853-7550.